Blessed Peter To Rot: “We stand up for the taught Christian values of mercy, love and forgiveness, for what is the world if there is no mercy, love or forgiveness”. 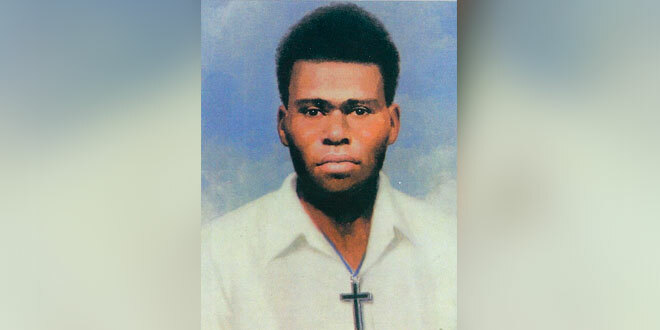 PAPUA New Guinea’s first indigenous person raised to beatification in the Church, Blessed Peter To Rot, will have a shrine built in his memory near Brisbane. Located in Marian Valley in the Gold Coast Hinterlands, it will be the first shrine in Australia dedicated to Blessed Peter To Rot, a lay catechist who was murdered for his defence of marriage and faithfulness to the Church. The shrine’s development has been spearheaded by the PNG Brisbane and Gold Coast Catholic community who regularly pray for Blessed Peter’s intercession. Apostolic Nucnio Archbishop Adolfo Tito Yllana was to preside at the traditional PNG High Mass before the laying of the shrine’s foundation stone on July 8. When built, the shrine will host Masses for small gatherings of pilgrims, prayer groups and be a space for retreats and other prayerful gatherings for both the PNG Community and other Catholics who want to honour Blessed Peter. A spokesman for the PNG Catholic community said people had been praying and offering Masses for a dedicated shrine for the beatified catechist. “It has been 72 years since Blessed Peter To Rot was martyred and finally in Queensland we are building a chapel shrine by a unified PNG community,” he said. “The PNG community do this project in the face of challenging times in our Church; we stand shoulder to shoulder with our Clergy orders in The magisterium of the Catholic Church. Blessed Peter To Rot was a Tolai Malanesian born in Rakunai on the island of New Britain nearly 30 years after Catholicism came to PNG. He would become the country’s most revered and steadfast lay Catholic, becoming a martyr at 33. Peter trained as a catechist after his father considered Peter’s generation too young in the faith to study for the priesthood. As a catechist, Peter was called to live a missionary life that included full-time teaching in a parish school, visitations to the sick and dying, catechetical instruction of the faithful at Mass and to non-Catholics after school-hours, leading prayer services if Mass was not possible, and in the absence of a priest, witnessing marriages, baptisms of babies and dying non-Catholics, and the distribution of Holy Communion. While the local MSC priests thought he was fit for the priesthood, he married a 16-year-old Catholic woman from a nearby village and had three children, the youngest of which was born after Peter’s death. On January 23, 1942 the Japanese invaded New Britain, initially ordering the removal of all missionaries, but allowing pastoral activity to continue on the island. This left Peter as the only spiritual guide for Catholics in Rakunai. By the end of March, 1943, the Japanese suffered a loss and prohibited Christian activity, forcing Peter to perform his missionary duties in a ravine in Taogo. Soon religious ceremonies were restricted to small gatherings in the early hours, and the Japanese tore down the local parish Church requesting it be replaced with a smaller camouflaged building. A total prohibition on religious activities was placed in March 1944, an order which Peter found unacceptable to the point where he built an underground shelter on his property to administer the sacraments regularly. To improve their relations with the local chiefs, the Japanese then legalised the an old Tolai practice of polygamy, and punished anyone who refused to obey by this new law. Peter came out strongly against polygamy and said the law “cannot stop us loving God and obeying His laws”. This outburst and his commitment to offering Sunday services against the law led to his death by lethal injection in prison on a Friday in July 1945, witnessed by a prisoner. Blessed Peter To Rot was beatified on January 17, 1995 by Pope John Paul II, who also announced his feast day for July 7. The feast day Mass and laying of the foundation stone for the Australian-first chapel in Brisbane was held on July 8 from 11am.